Jourdan Dunn was on hand for the 2017 MTV Movie &TV Awards at the Shrine Auditorium this evening(May 7th) in LA. 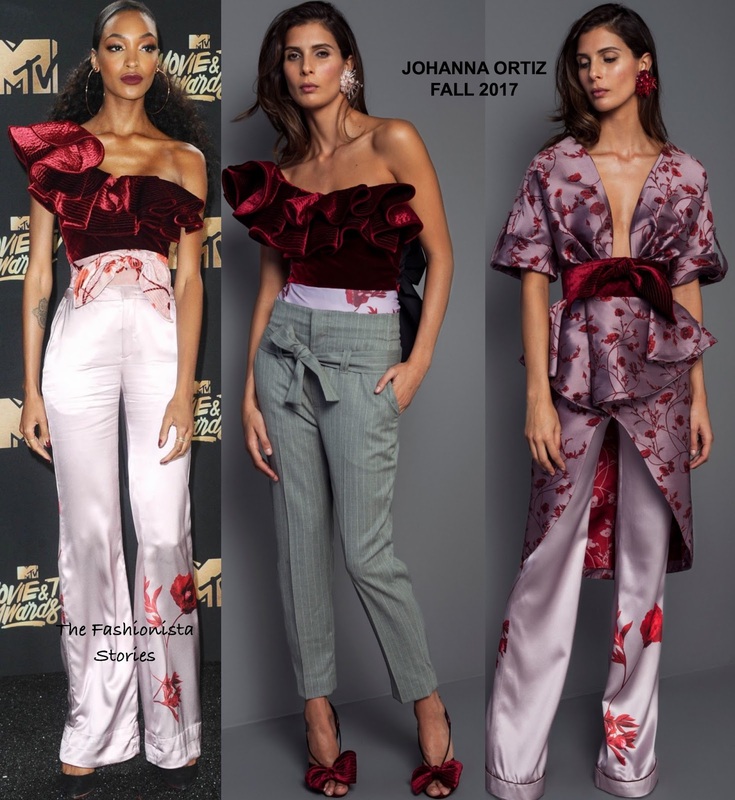 She posed on the black carpet wearing a JOHANNA ORTIZ FALL 2017 ensemble which featured a rich burgundy velvet ruffle one-shoulder top and pink & red satin trousers adorned with a printed tie waist. Jourdan appears to have had the trousers shorten which you can tell by the different hem finish. For me, I love this collection and this ensemble. However the wrinkle bottom half of her trousers are a distraction but most importantly, I am confused by the CHARLOTTE OLYMPIA 'Tango' black pointy toe pumps. I really love the hair & make-up though which topped off her look along with VITA FEDE hoops. What do you think of Jourdan's look?